The Bravo Poker 2017 TDA Summit VIII was held June 30th and July 1st, 2017 at the beautiful Aria Resort and Casino, Las Vegas. 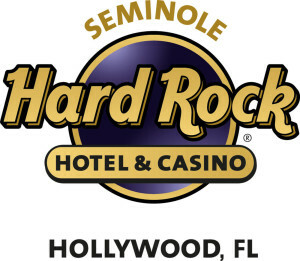 Aria “Poker Boss” Sean McCormack and Tournament Director Paul Campbell spared no effort to provide great meeting facilities and accommodations for a record 265 delegates from 34 countries. On Day 1, Summit VIII was called to order at 9:30AM by Founding TDA Board Member Matt Savage and the event immediately got down to business. The morning session was extremely productive, starting with WSOP Tournament Director Jack Effel leading discussion on proposed new TDA clock management rules. Other issues introduced in the busy morning session included: button with wrong number of cards, burn-card management after substantial action (SA), handling contradictory verbal vs. chip bets, seating in re-entry events, action out-of-turn and skipped players after SA, uniform hand-for-hand (H4H) procedures, and betting apps and video-blogging. Joining Matt and Jack in moderating the discussion were MGM National Harbor Poker Director Johnny Grooms, Borgata Tournament Director Tab Duchateau, Poker Stars Director of Live Poker Neil Johnson, and Lloyd Fontillas, Executive Director of the Asian Poker Tour. Lloyd joined the TDA Board this year and literally brings a world of experience to the Association. The Day 1 afternoon session featured a full review of all TDA Rules starting with discussion of Rule 1 on fairness and the best interest of the game. The attendees discussed numerous examples of decisions made based on Rule 1 and what guidelines they have found useful in such rulings. By the end of Day 1, all current and proposed rules had been reviewed, allowing the attendees to take a much-needed break for the TDA Members-Only NLHE tournament at the Aria Poker Room. On Day 2 the delegates reviewed specific language proposals based on the Day 1 discussions. Important debate focused on precise language for H4H Procedures, appropriate rulings for a series of undercalls, time limits for disputing a showdown, invalid bet declarations, and handling bets placed on top of prior bet chips not yet pulled in. Clarifications were approved on such important subjects as soft play, dealers announcing hands at showdown, Also, TDA Directors Emeriti Linda Johnson and Jan Fisher were instrumental in helping craft language for the new TDA Recommended Procedures for stud tournaments. Ultimately 6 new rules and 2 new recommended procedures were adopted, along with significant edits to 11 current rules. Since inception of the TDA in 2001, each Summit has had a unique character and focus. Many attendees remarked that 2017 was one of the most productive and cordial in the history of the Association. Summit VIII was made possible by the hard work of the 265 delegates and generous support from Aria Las Vegas, Bravo Poker Live, Genesis Gaming, the World Poker Tour, the Seminole Hard Rock – home of the SHRPO, Ante-Up Magazine, the Heartland Poker Tour, Card Player Cruises, and the Ladies International Poker Series (LIPS). Lupe Soto managed a tremendous registration team, Bob Fisher handled floor operations, and Jack Gramley and Brian Vickers coordinated video and other operations. 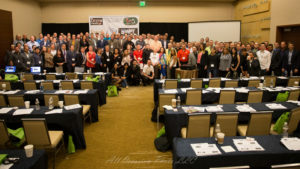 Many thanks to everyone who made TDA Summit VIII such a milestone in TDA history. 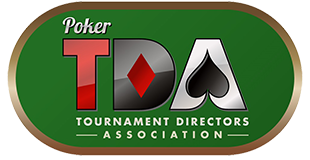 View photos and video from the summit on the 2017 Poker TDA Summit VIII page.